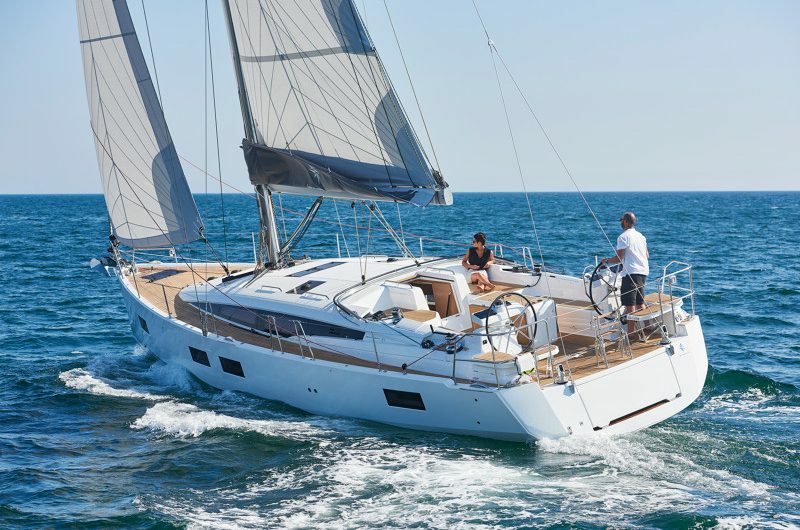 The elegance created by Philippe Briand and Garroni Design positions the Jeanneau 53 as a sailboat of exception in the range of yachts over 50’. 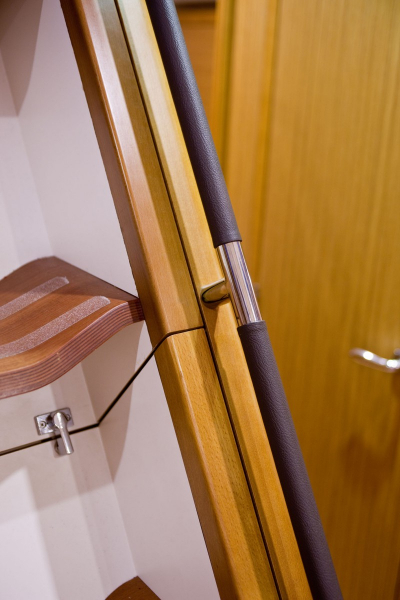 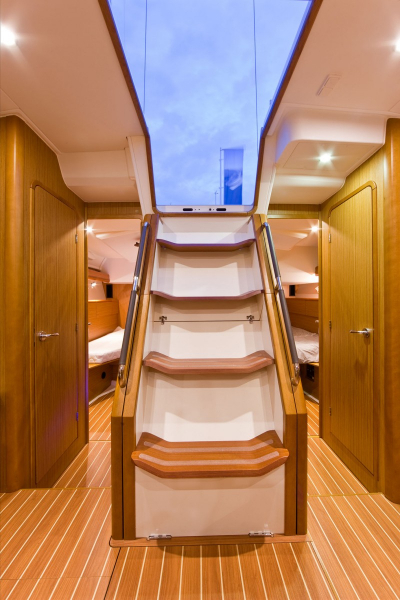 The comfort on board, the level of finish, and the perfect ergonomics were carefully designed to make every moment aboard special. 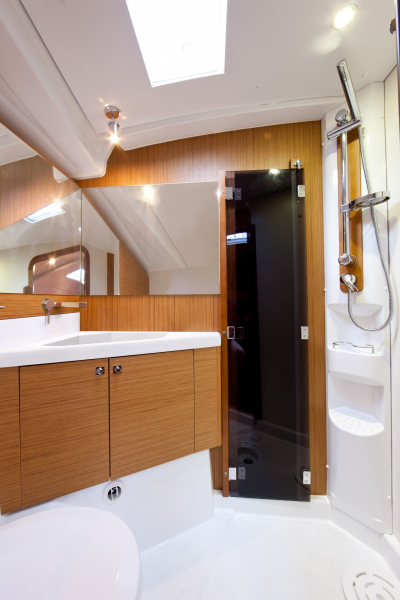 Numerous deck hatches and portholes flood the inside with light emphasising the rich materials found throughout: leather, stainless steel, and the finely varnished woodwork. 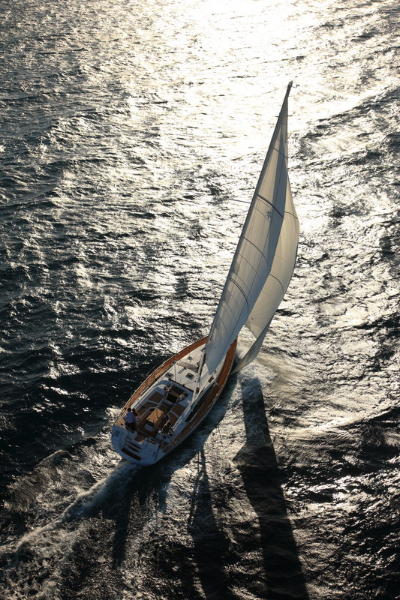 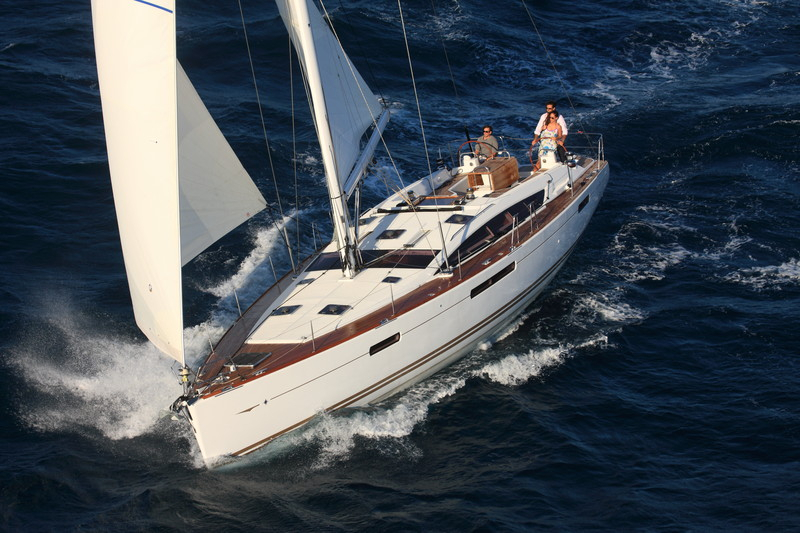 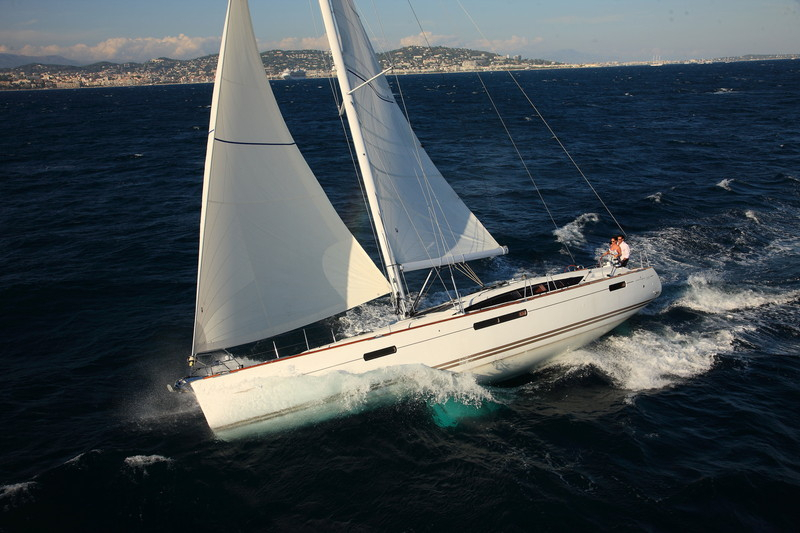 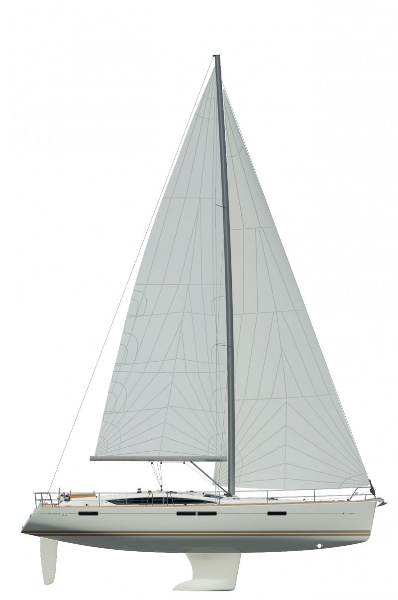 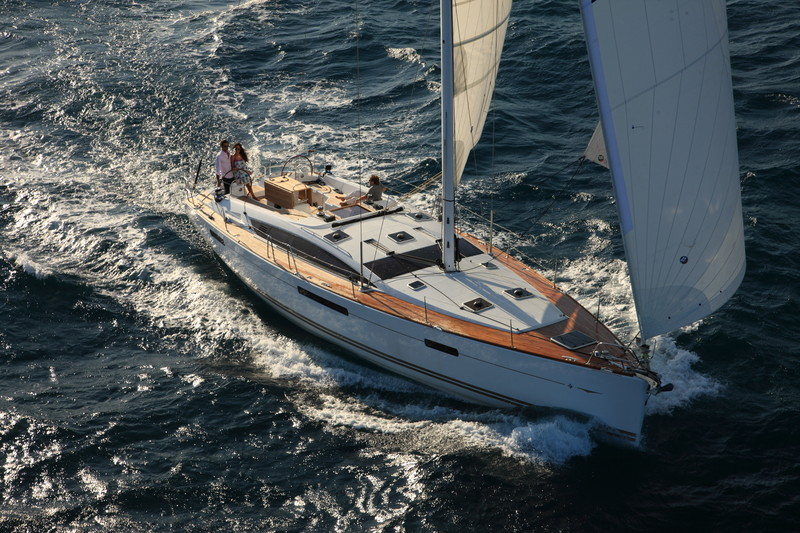 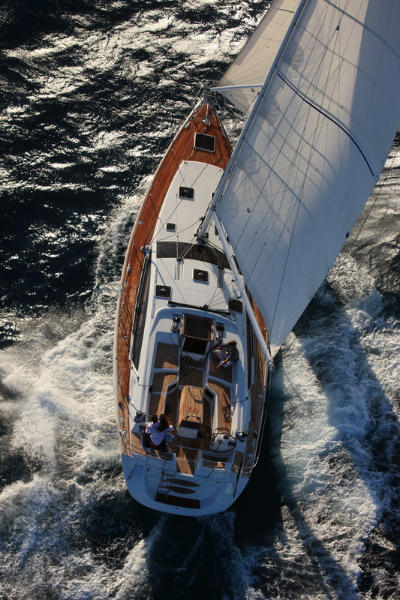 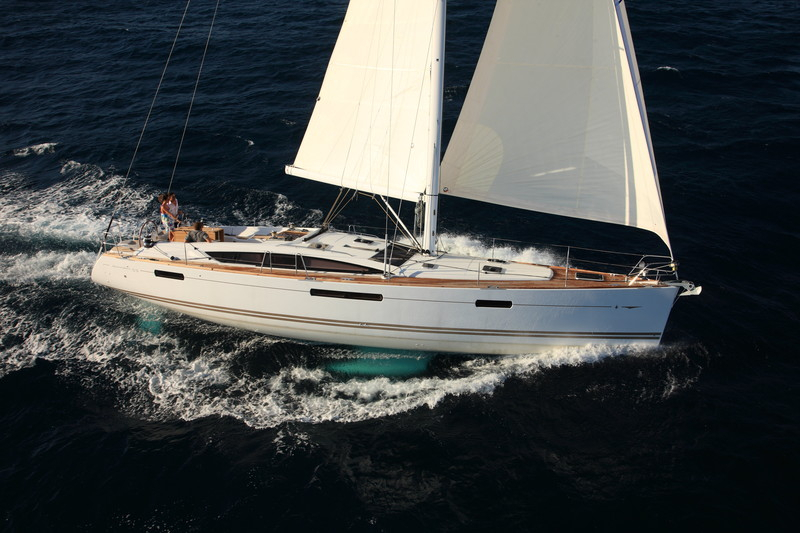 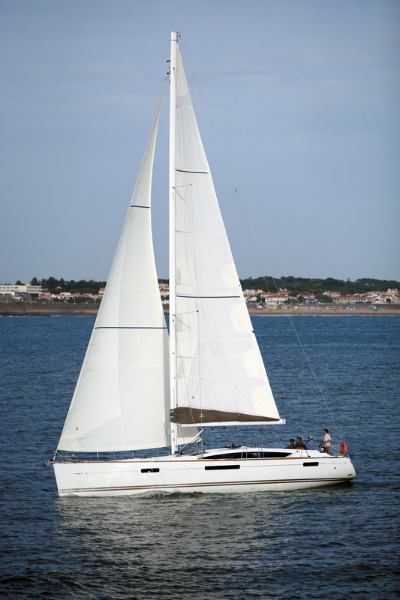 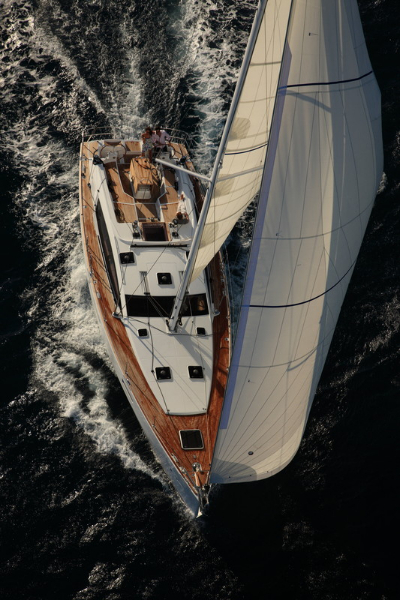 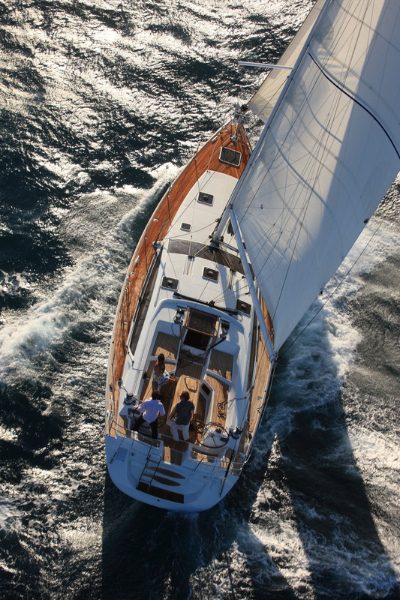 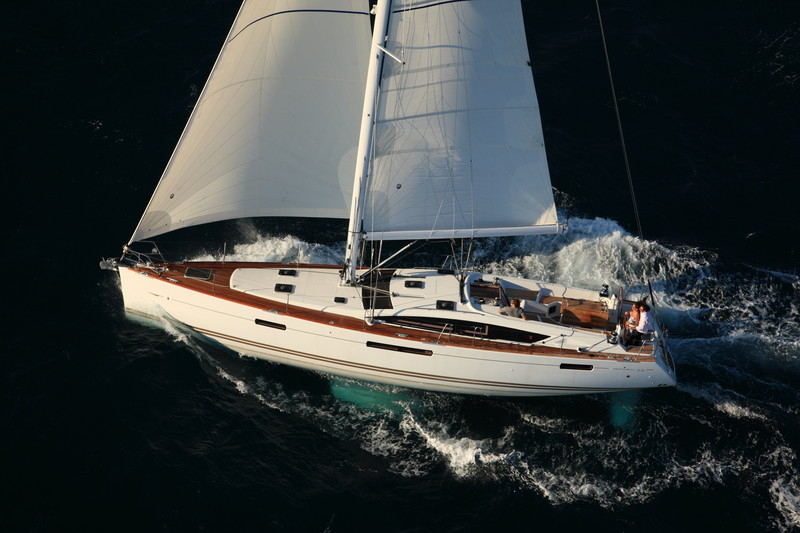 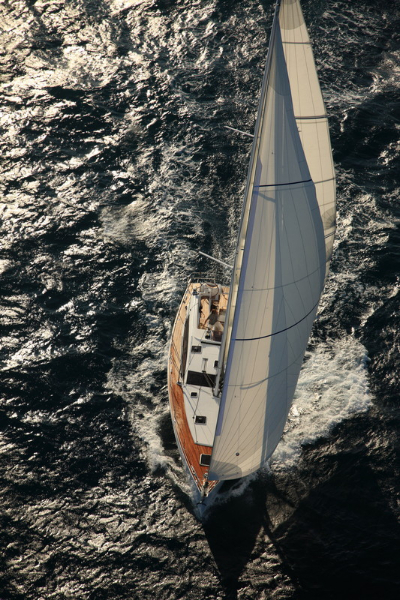 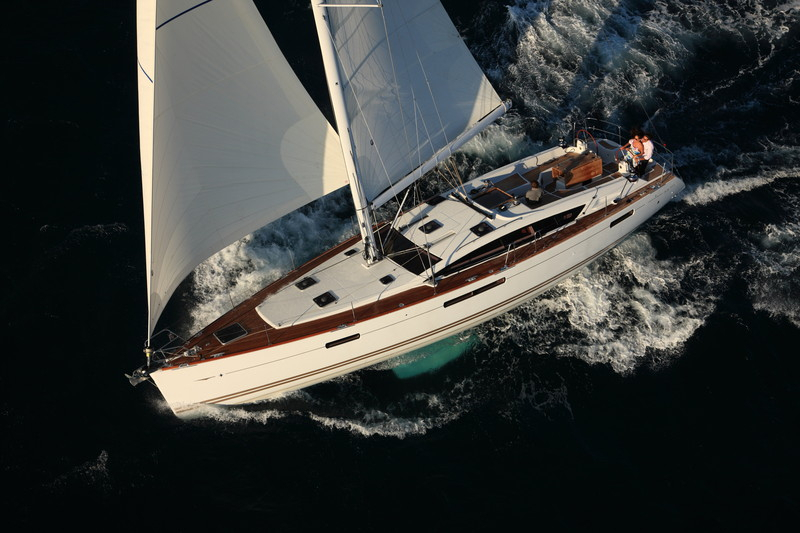 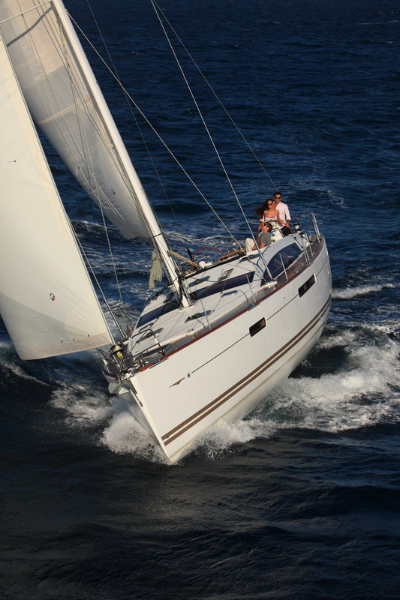 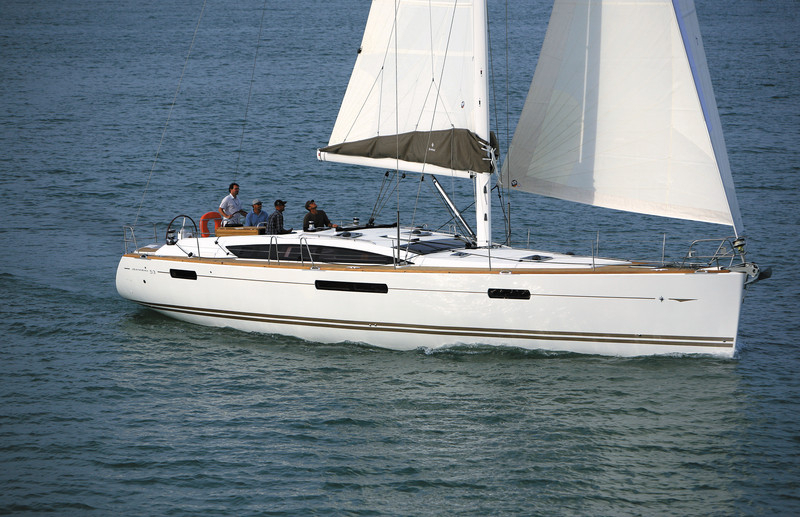 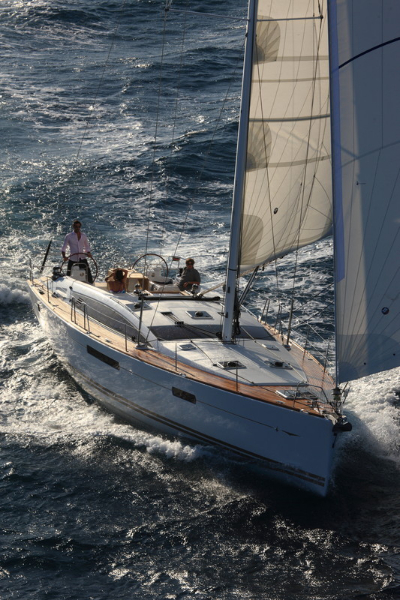 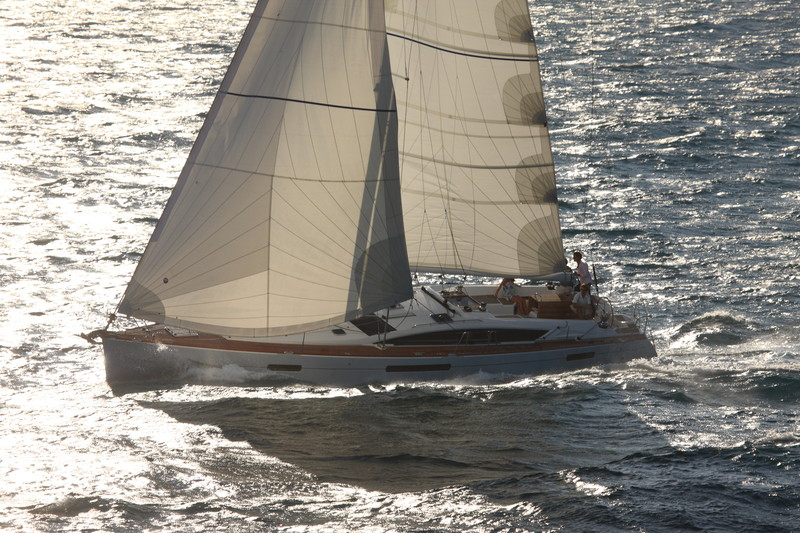 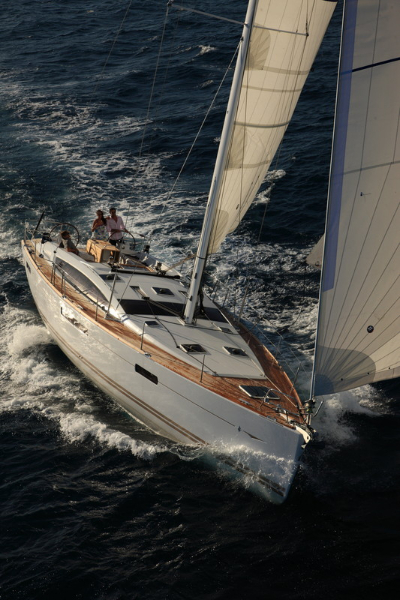 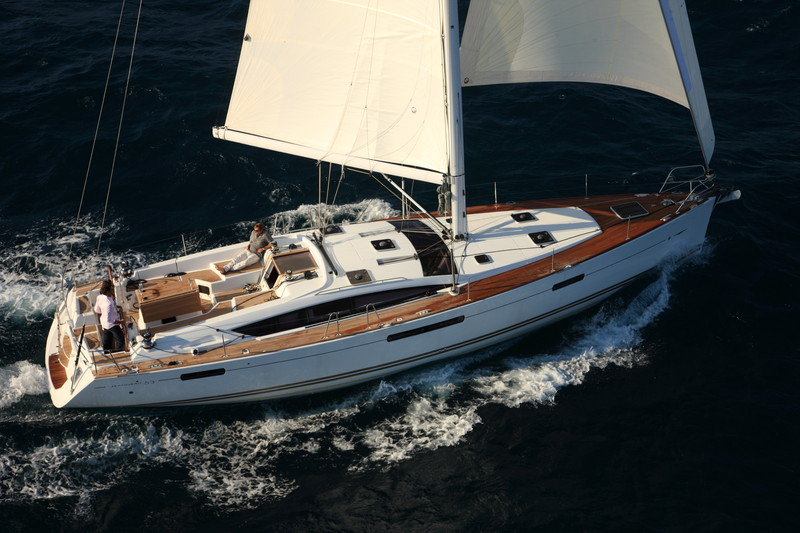 The Jeanneau 53 offers a level of standard equipment unequalled in her class. 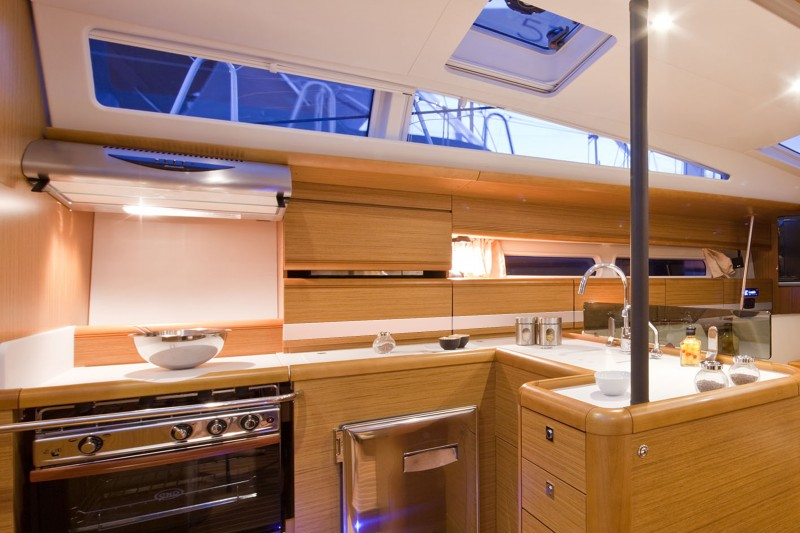 A luxurious lounge sits opposite a wide and comfortable dining area and just forward of the spacious, well-equipped kitchen. 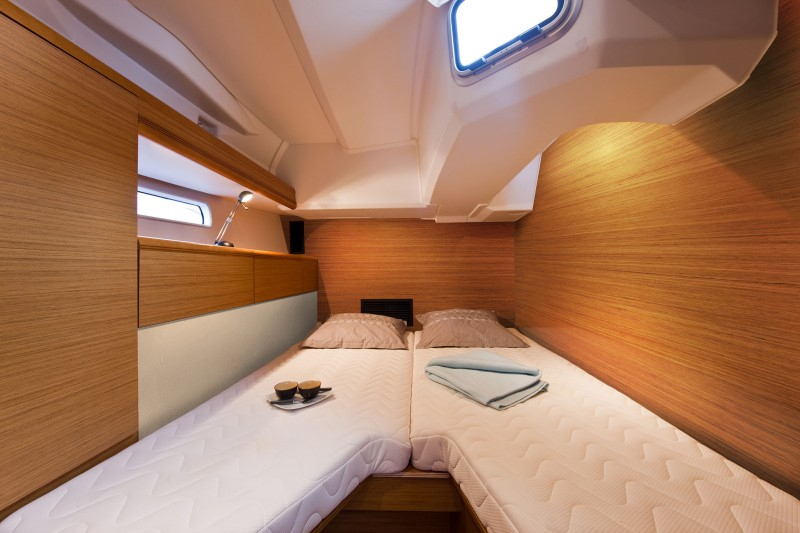 Each interior layout features optimised ergonomics and storage. 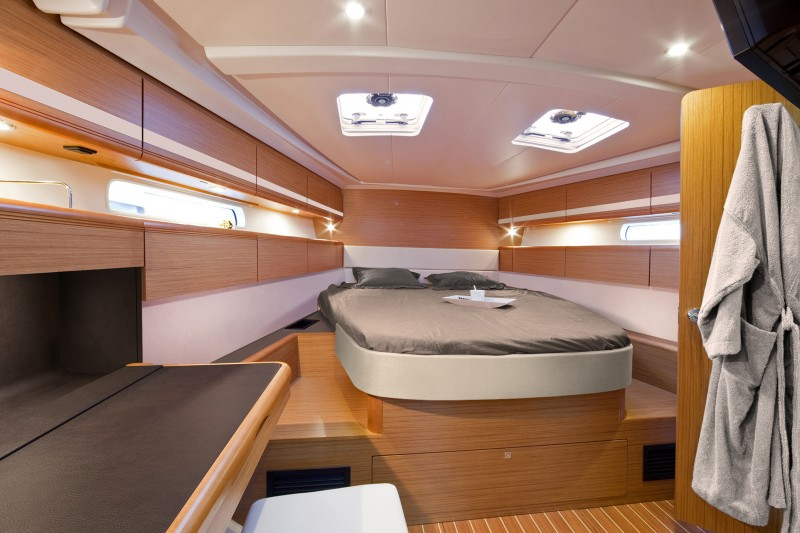 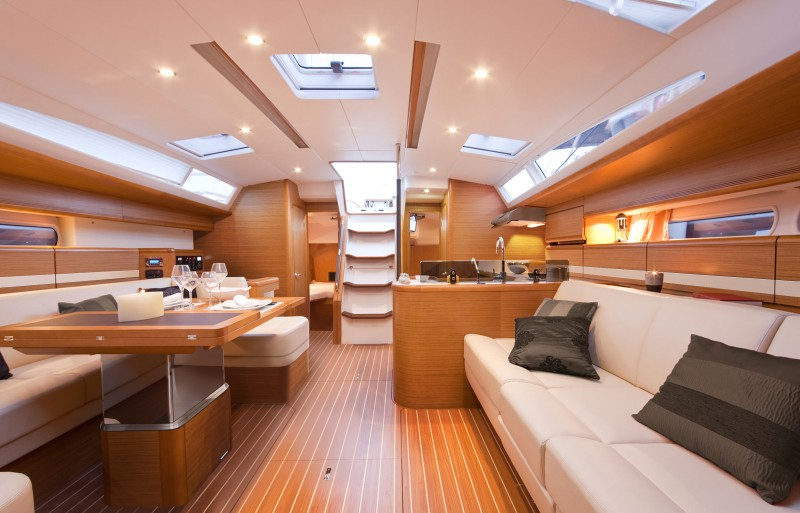 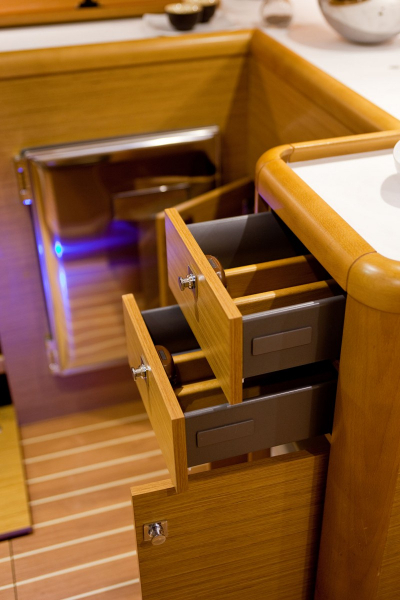 With numerous interior layouts, the Jeanneau 53 has been designed to fit every need. 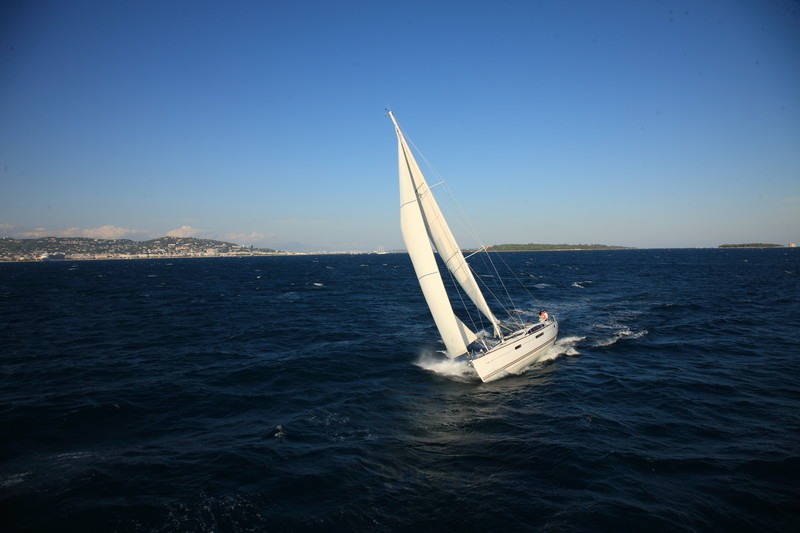 Manoeuvring a yacht of over 12 metres in harbour is stressful for many skippers and their crews, whether family or not. 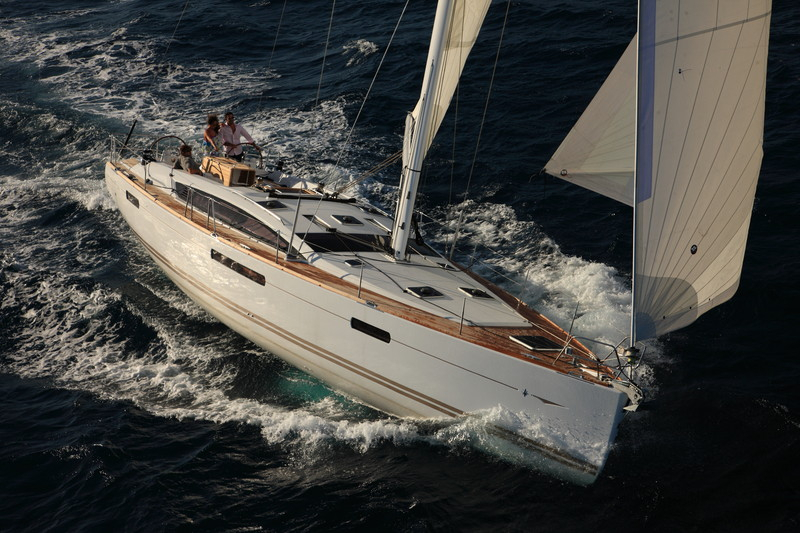 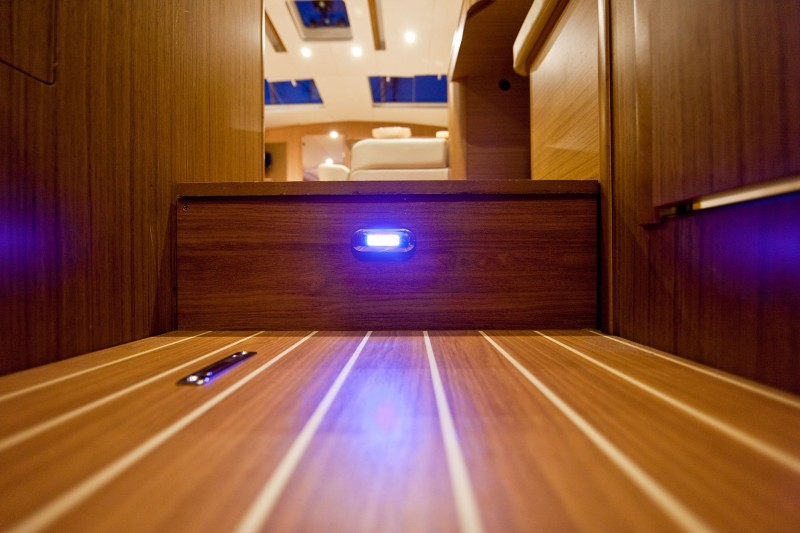 That’s why Jeanneau have taken away the stress and developed 360 Docking, available on the Jeanneau Sun Odyssey 50DS. 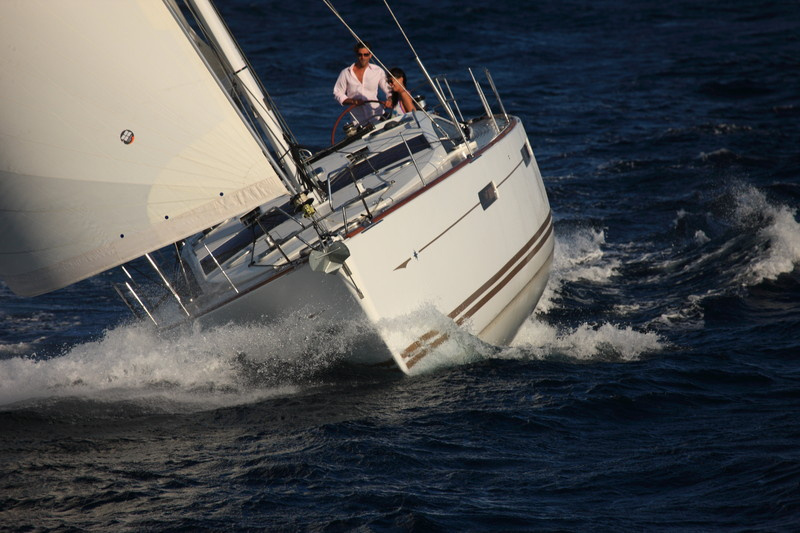 Even with a bow thruster, the bulk, the inertia and the sensitivity to windage and tides of these boats makes their handling difficult in the often small and congested ports of the European coasts. 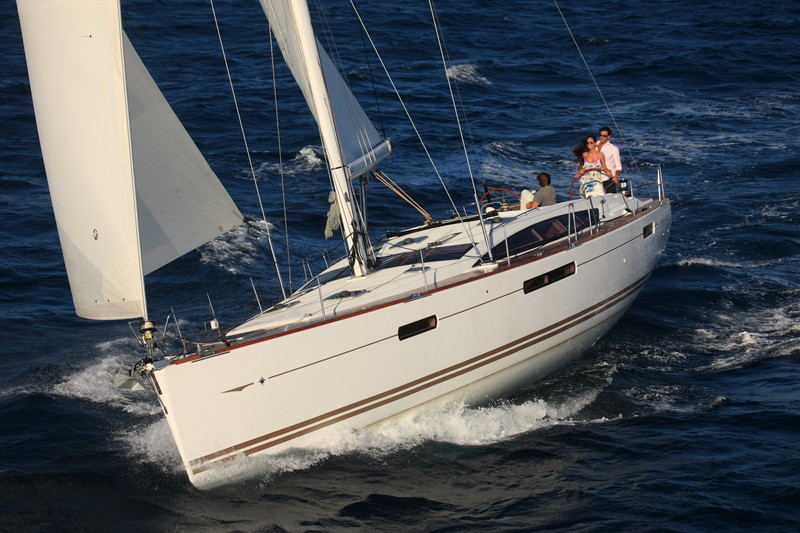 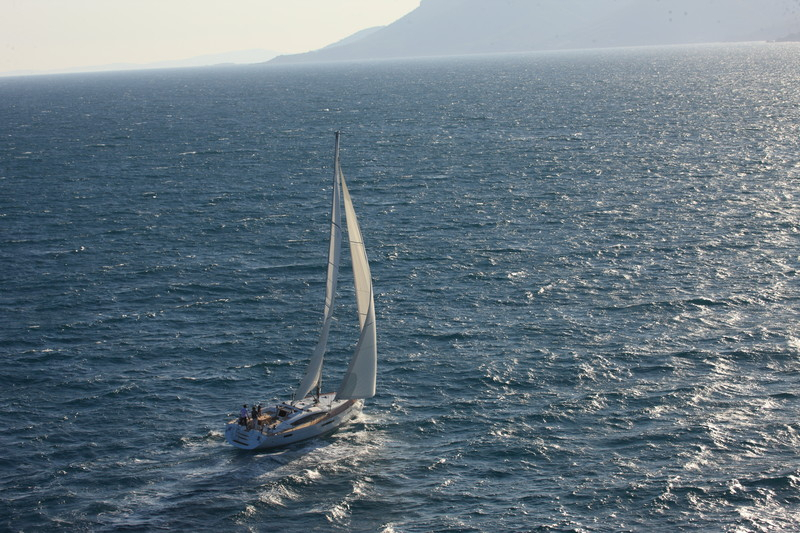 These problems can spoil the enjoyment of a lovely sailing trip, as well as put you off the acquisition of a larger model, this no longer needs to be a factor and couldn’t be simpler to control.